Brand new video clip from Anthrax, shot during the recording of their upcoming album due out later this year. 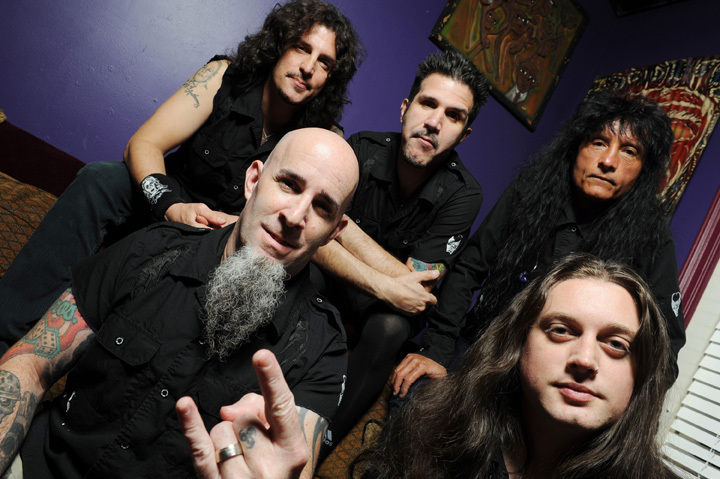 Anthrax – Charlie Benante/drums, Frank Bello/bass, Scott Ian/rhythm guitar, Joey Belladonna/vocals, and guitarist Jon Donais – have been working in Los Angeles with producer Jay Ruston. ANTHRAX will be playing in Kansas City at 98.9 The Rock’s ROCKFEST 2015 on May 30, 2015!